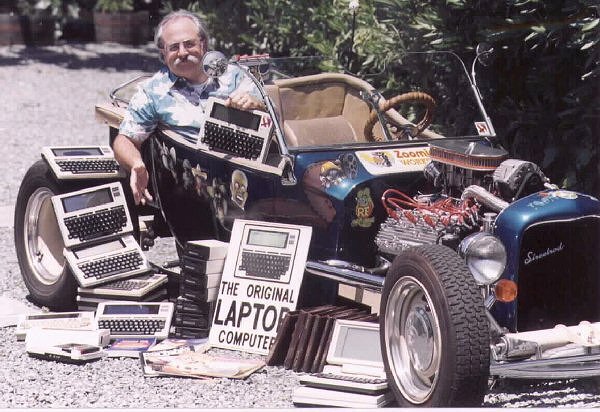 We call these Model "T" computers! 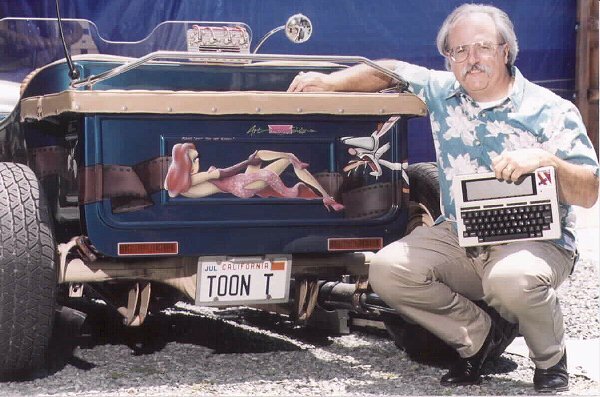 • NADSBox Wiki by Ken Pettit ...must read! • User's Guide v1.0.2 (pdf) ...must read! • REX Wiki by Steve Adolph ...must read! 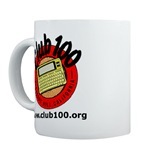 By popular demand Club 100 offers Club100 mugs, t-shirts, calendars, and more. 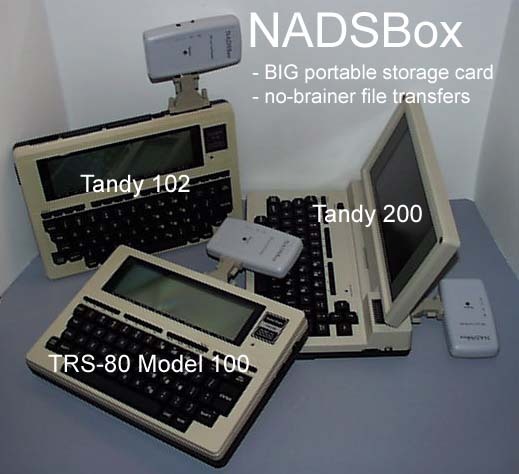 • NADSBox ... solid state portable storage to PC Card / eazy file transfers! Using an older machine? Consider a service, such as this HP3000 migration company, to keep your files intact. New to Model "T" computing? These links will help you get going. • Model 100 Discussion List Home Page. This is a MUST! 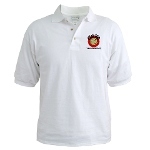 ... subscribe to the list to ask questions, get great answers and meet fellow Model "T"ers. Our discussion list is your #1 resource and help center. It's FREE and worldwide. • Wiki by Bitchin100.com and their Classic M100 Articles feature. • VirtualT Virtual T is a TRS-80 Model 100/102/200 emulator that runs on Windows, Linux, and Macintosh. The goal of Virtual T is to provide 100% hardware emulation so any existing programs will run. It also adds powerful development and debugging tools. • Dave Jones's video blog - M100 Teardown NEW! 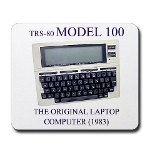 These features are free and dedicated to Model "T" computing machines and accessories. A big thanks to Gary Weber (www.web8201.com) for setting up the Vintage Notebooks web ring. This is where it's at for documented information on all things Model 100/102/200 et al. And please understand that 'people' are connected to all this information and so much more ... that is why joining the Model "T" Discussion List, as mentioned above is so very important. • The Whole Enchilada <---- and here. 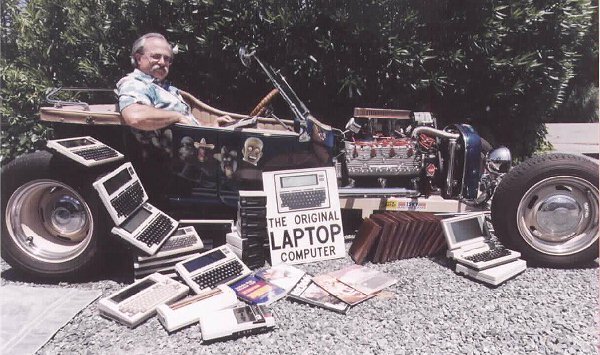 As a fellow Model "T"er you may request and secure a personal library and populate it with your Model 100, 102 and 200 programs and support files for all to use and enjoy. A big thanks to Ken Pettit for setting this up. • The Club 100 Model "T"s ... computers and car! Club 100 is a now simply a hobby/business.